Background information: Eyewitness accounts of the Holocaust in Izyaslav. Germany’s invasion of Ukraine in 1941 led to the total destruction of the Jewish households in Izyaslav. Now only 9 Jews reside in Izyaslav but in 1939, before the war, about one third of Izyaslav’s population, 3200 people, was Jewish. Jews arrived in Izyaslav in the first half of the 16th century, and by 1897 half of Izyaslav’s residents, six thousand, were Jews. The Germans captured Izyaslav on July 5, 1941, and it didn't take long for the mass executions to start. A few local Jews managed to escape to the Soviet interior when the Germans arrived, while the remaining Jews were ordered to wear yellow badges on their chests and backs. On August 30, 1941 the local police and the Germans surrounded the city and ordered the Jews to gather for the “resettlement in Palestine”. On that day, more than 1000 Jews were murdered in Poboy antitank caponiers on the western outskirts of town. Even larger mass killings would be carried out 10 months later in the Soshne forest, where the new commemorative monument will reside. After the first killing operation, a ghetto comprising about 20 houses was set up near the Old Synagogue building in the old city and the remaining Jews of Izyaslav and nearby localities were brought there. The ghetto was surrounded with barbed wire and a wooden fence and guarded by the local police. The Jews stuck there were used for hard labor and not allowed to leave. Many of them died during the construction of the dam on the Gorin river and were buried inside it. But over 2,000 of the Jews in this ghetto were killed in the Soshne forest. neighbor Kiva Feldman and I are left. My dear Mama and Papa, my sweet brother Zyama, Iza, Sarra, Borukh — all of them are gone. You sweet, dear people, how very hard it was for you! I cannot come to my senses, I cannot write. If I were to begin to tell you what I have lived through, I do not know how you could comprehend it. Three times I broke out of a concentration camp; more than once I have looked death in the eye while fighting in the ranks of the partisans. I am now beginning a new life — the life of an orphan. How? I myself do not know. Write as often as possible; I await your reply. Why don't Uncle Shloime, Iosif, Gitya, and the others write? The Soshne killing site contains two commemorative sculptures telling the story of one family torn apart by the murders at Izyaslav. The sculpture of a girl commemorates the short life of Svetlana Korosty (Коростий), who was born on March 31, 1938 and killed by policemen in September 1943. The other sculpture is of her father Saveliy Pavlovich Korosty, who was a teacher in Izyaslav’s school in the 1930s and became a tank commander shortly before the war. 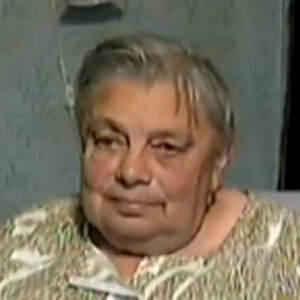 Sveta’s Jewish mother Rita Yakovlevna Goldshtein was a former student of Saveliy Korosty. The teacher and the student fell in love, got married and had Svetlana in 1938. In 1941, the Korostys brought Sveta to Izyaslav and left her in the care of Rita’s parents for the summer, as they had done in previous years. Tragically, the war started on June 22, 1941, and the German army quickly occupied Izyaslav and most of the Ukraine, separating Sveta from her parents. On September 9, 1942, in the last Aktion, the Germans liquidated most of the town’s remaining Jews, among them Salomon Finkel and his family. His 14-year-old daughter Sofya was the only family member who escaped from the death pits in Soshne forest. She fled to her aunt Mariya, who welcomed the child into her house and hid her from the neighbors for several weeks. Since Finkel’s house was not a safe haven for her niece, she moved Sofya to the nearby home of the Kropovenskiy family, where Mikhail Kropovenskiy lived with his married sister Yevgeniya Sveshnikova and her infant son. of Shepetovka and kept in touch with her rescuers. Sofya died in 2010, leaving no family behind. Sofya (Sofia) Finkel, who was born in Izyaslav, Ukraine in 1927 and was living there during the war years, testifies about the killing of Jews during the liquidation of the town's ghetto in the summer of 1942. She retells the story as she heard it, while hidden, from a Ukrainian auxiliary policeman who had participated in the murders.